The new design for the Rose Center for Earth and Space at the historic Museum of Natural History allows the audience to “fly” through the show rather than simply looking up at it as was the case in its previous incarnation. Auerbach Pollock Friedlander and Polshek Partnership accomplished this with their design of an 87-foot reflective metal sphere poised atop a tripod within a 95-foot glass cube. Auerbach Pollock Friedlander’s development of seating configurations, sightlines and staging elements met the critical criteria for the aural experience. 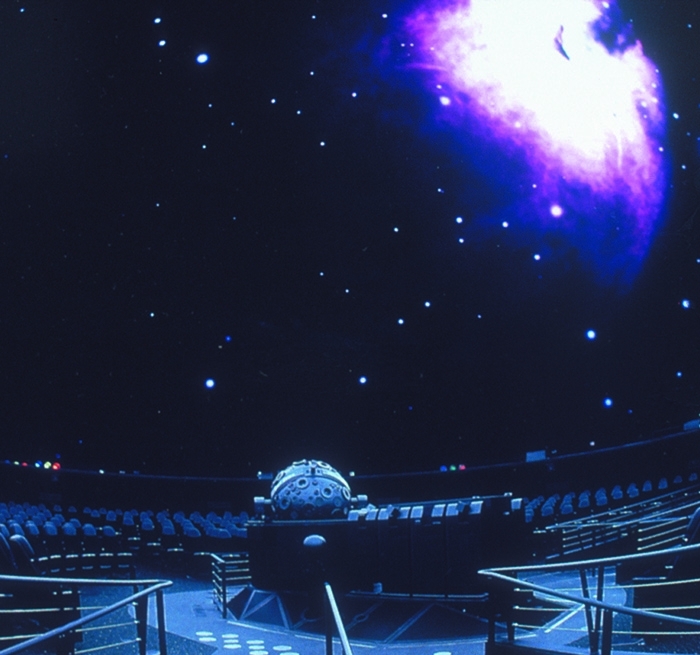 The core element of the technical systems design is the lifting platform for the Zeiss Mark IX fiber optic Star Projector. 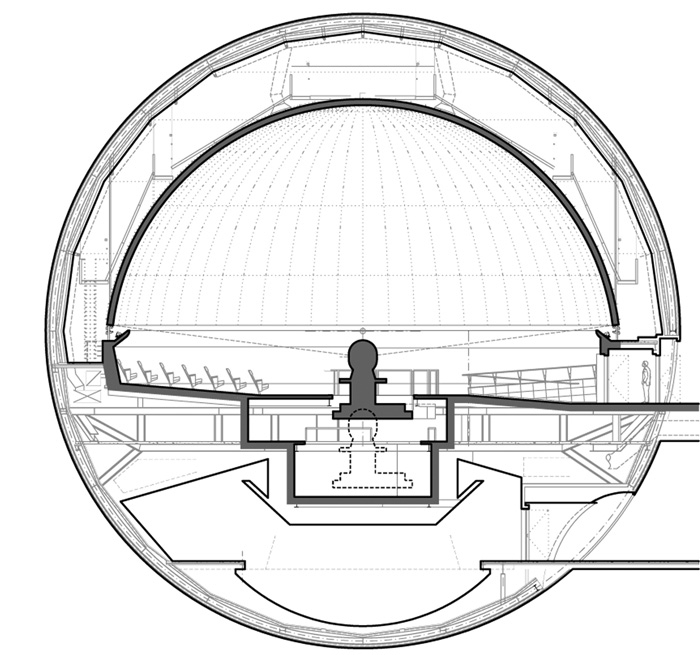 The dynamic 3D, Digital Dome spatial sound system, designed to broadcast both within the dome of the theatre and in the pre-show area, envelopes the audience in sound; while enabling composers and production sound designers to develop multi-spatial scores that give a true three-dimensional effect. The system provides multi-channel movement of sound effects and music synchronized to moving projected images while the subwoofer system, wired into each seat with an individual bass shaker driver, simulates a high-energy event by reproducing very low frequencies.